Fall brings changes in the weather, school, sweaters and jackets, but it also brings amazing food. I love soups, stews and chilis on those cool fall nights. And what could go better with all the heart warming comfort food than cornbread. 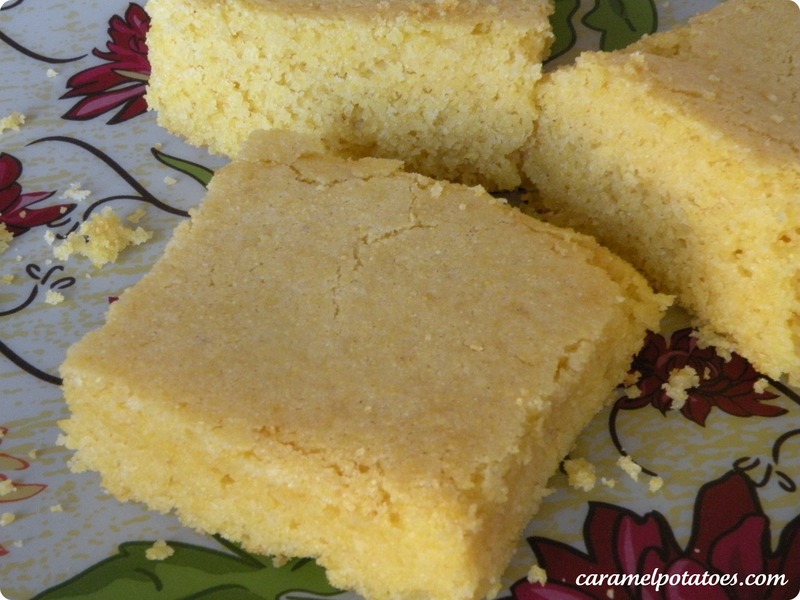 Corn bread is such an easy addition to your fall dinners. This is a simple and delicious recipe that I know you will love just as my family does. In a large mixing bowl, stir together all the dry ingredients. In a medium bowl, whisk together melted butter (this should be slightly cooled before mixing), buttermilk, and eggs. Pour the buttermilk mixture into the cornmeal and stir until moistened. Do not over mix! Transfer to baking pan and smooth the top. Bake until a toothpick inserted in center comes out clean, about 20-25 minutes. Let cool in pan for 15 minutes before serving.